Address: Witkoppen Wildflower Nursery, 363 Valley Rd, North Riding (not Roodepoort). Witkoppen Wildflower Nursery near the Dome in Randburg has been a centre for aloe hybrids since 2001. 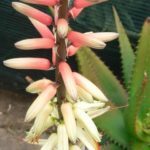 Their Aloe Weekends have become much anticipated events in the Southern Gauteng gardening calendar. 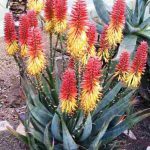 The owner, Malcolm Hepplewhite, is an aloe savvy person, apart from being a veritable encyclopedia of indigenous flora. The nursery is open every day and visitors are welcome. 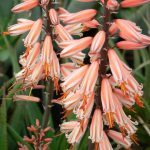 To avoid disappointment, if you are after a particular aloe cultivar, please give Malcolm a call before your visit.From Malibongwe drive (coming from Randburg), turn left into Olievenhout Drive, cross over Northumberland past the Dome until the road is gravel. Follow signposts from here.From 4Ways take Witkoppen Drive (going West) and cross Malibongwe Dr where Witkoppen becomes Northumberland. Turn right into Olievenhout just past the Dome. Signposting on the gravel road section.From Beyers Naude: Turn east into Northumberland, left into Olievenhout just before the Dome. Signposts on gravel road.